Two "Pokemon Go" enthusiasts play the game in Toronto on July 14, 2016. Over 4,000 people have signed up to attend a mass “Pokemon Go” walk-about in Washington, D.C. The "Pokemon trainers" will meet Saturday at 1 p.m at the Jefferson Memorial and catch Pokemon as they walk around the National Mall. The event’s Facebook page shows a whopping four thousand signed up to attend the event. Another 13,000 are registered as “interested” in the "Pokemon Go" walk. However, weather prospects for this Saturday aren’t great. According to Storm Team4 meteorologist Chuck Bell, there’s a 50 percent chance of rain. 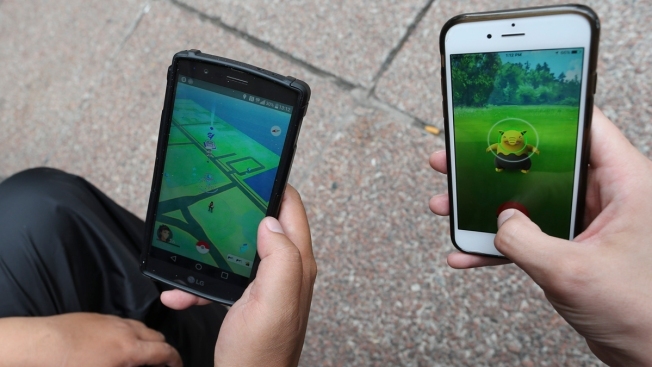 Since the launch of the app mere weeks ago, "Pokemon Go" has taken the world by storm. The game has also resulted in many interesting stories. Some players have gotten into car accidents, found dead bodies or even been arrested for accidentally crossing a country's border. "Pokemon Go" is a game in which players go to different real-life locations to find virtual characters popularized by the "Pokemon"franchise. Nintendo -- a Japanese gaming company -- saw its stock spike in the wake of the "Pokemon Go" launch. However, after investors realized that Nintendo did not develop Pokemon, the stock plummeted. The actual game developer is Niantic, Inc., a San Francisco-based software development company now worth about $3.65 billion. Tech news site Recode estimates that there are about 9.5 million daily U.S. users of "Pokemon Go".